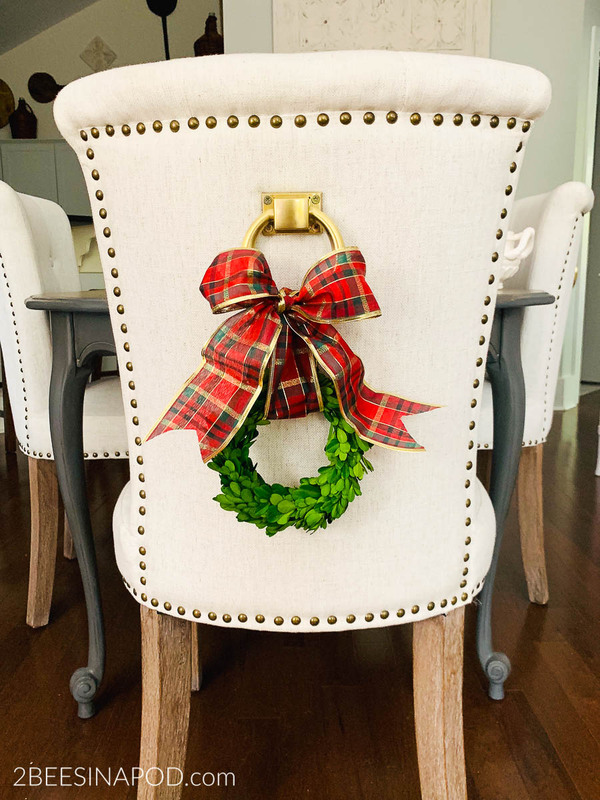 Add a bit of the season to your dining room by decorating chair backs for Christmas. Right now my house seems to have a split personality. Most of it is decorated in full-on red plaid as if Santa’s coming to town any minute. The other part has family Thanksgiving recipes scattered about as I ready my grocery list for our big family gathering. 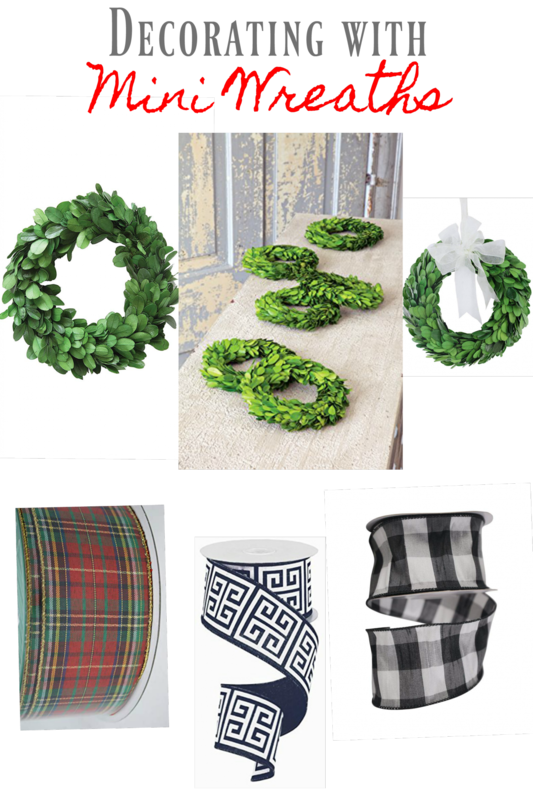 Such is the life of a blogger or someone decorating early for Christmas. 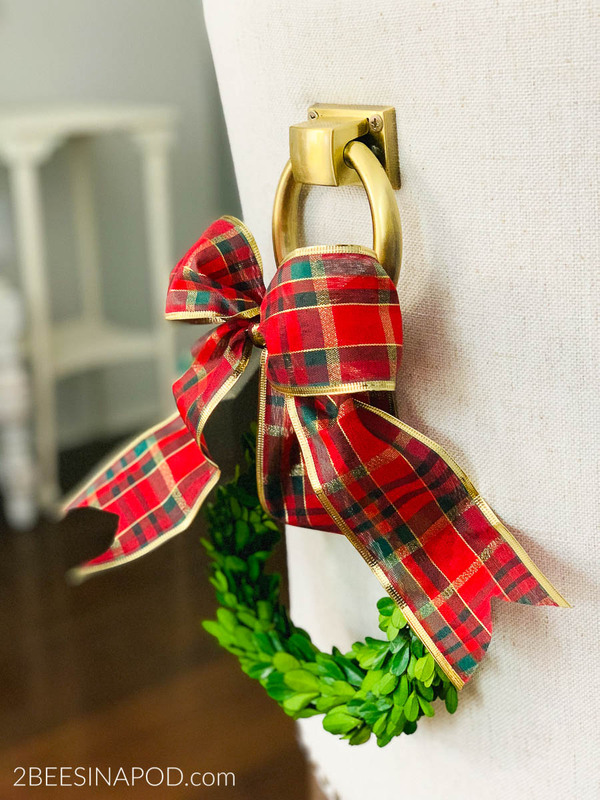 If you want to ease into your holiday decor, decorating chair backs for Christmas is a great place to start. Typically my dining room chairs have always gotten some special treatment during the holidays. 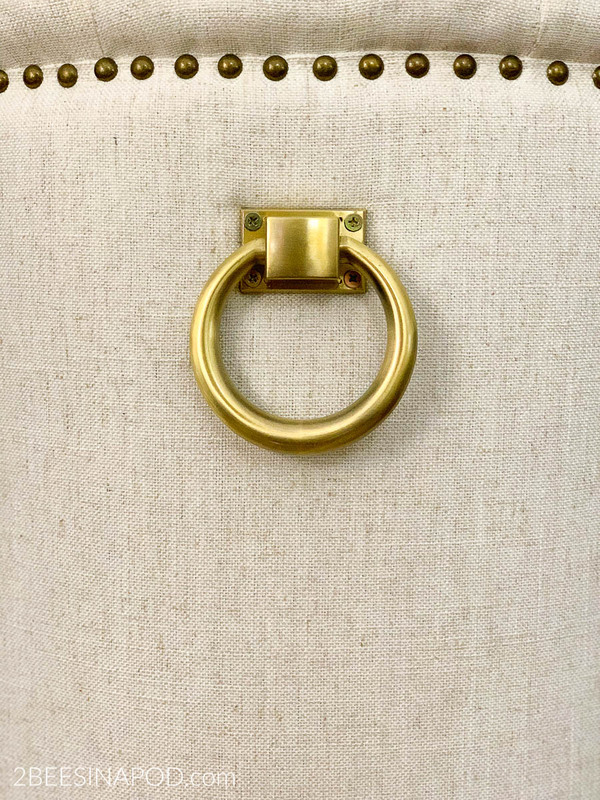 My new dining chairs have the perfect brass ring just waiting for embellishment. You can decorate wooden chair backs with this same method. 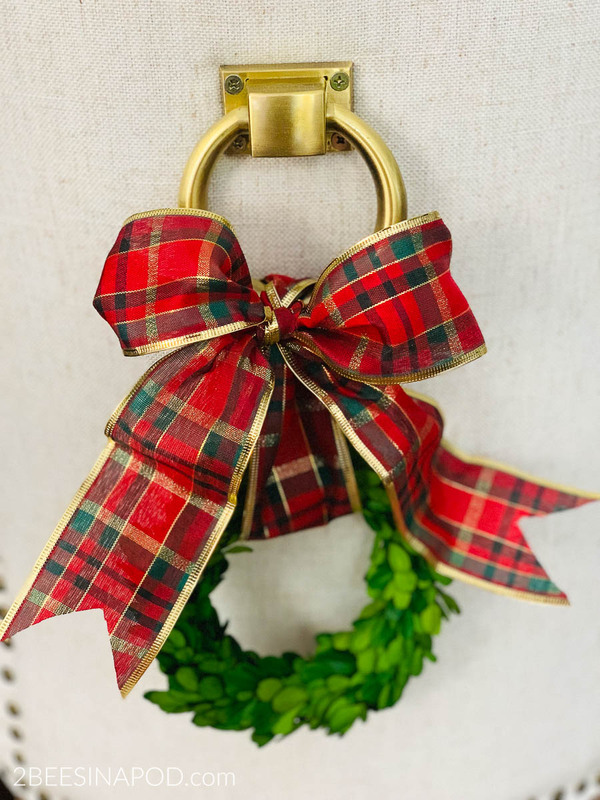 2 ½ inch wide wire ribbon of your color/pattern choice. 1 yard of ribbon per chair. 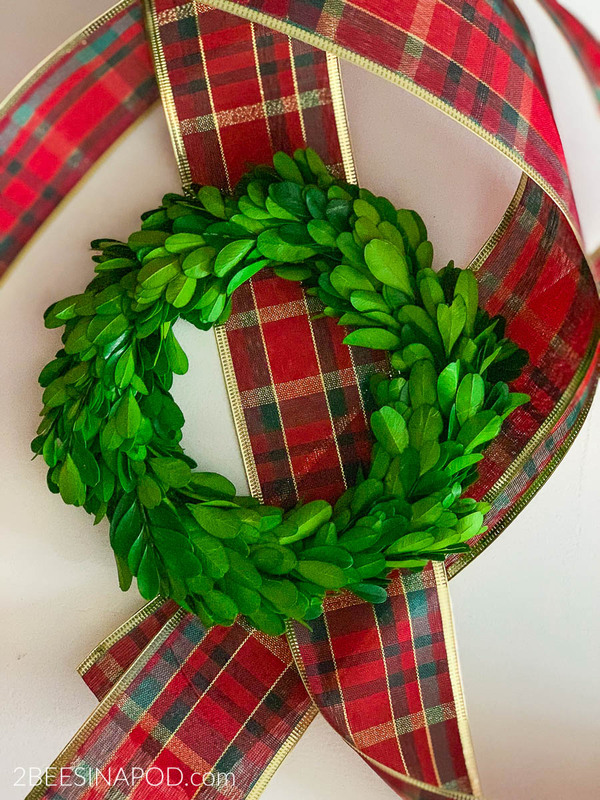 Cut 1½ yards of ribbon per chair. 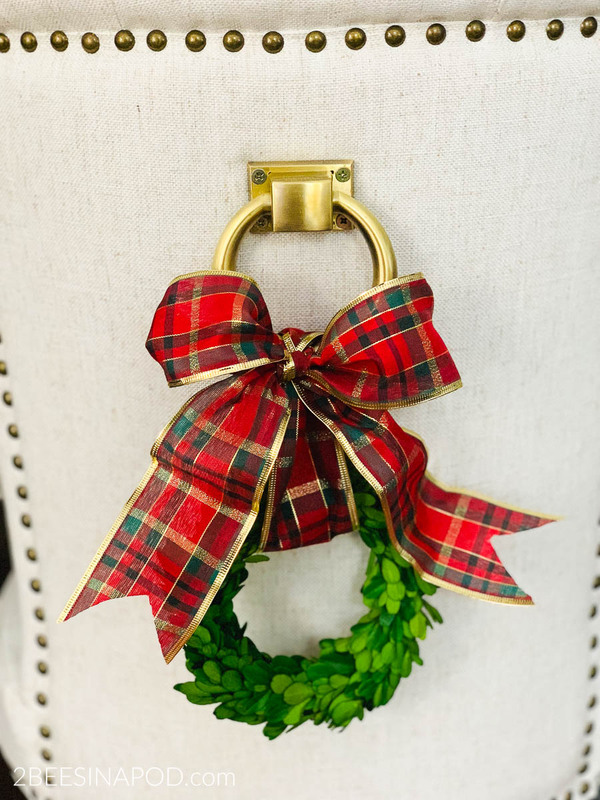 You can use less ribbon for shorter placement. Cut each ribbon end. I prefer points. 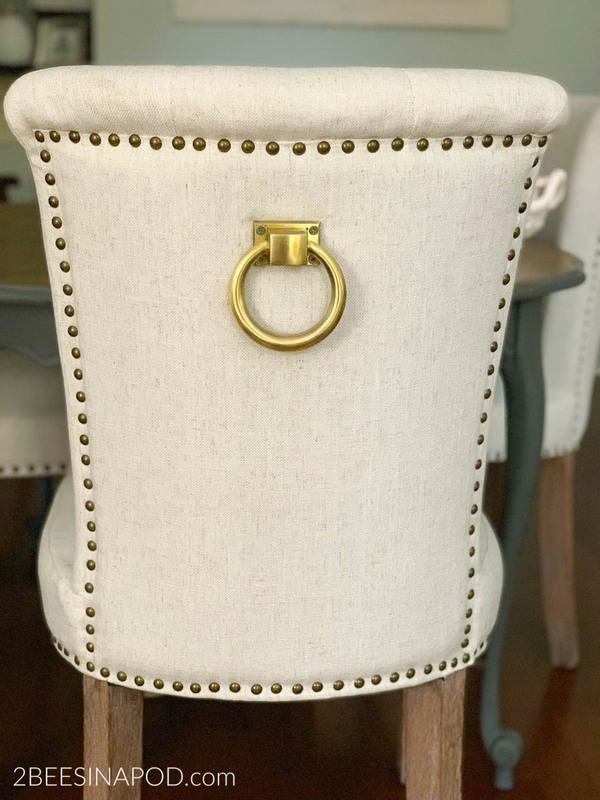 This is such a simple addition but it adds so much charm and detail to the dining room. I remember several years ago,one of my nephews was much younger than his current teens. When it was time to eat Christmas dinner at my house he proclaimed “whoa – I get to sit in a fancy chair”. LOL. 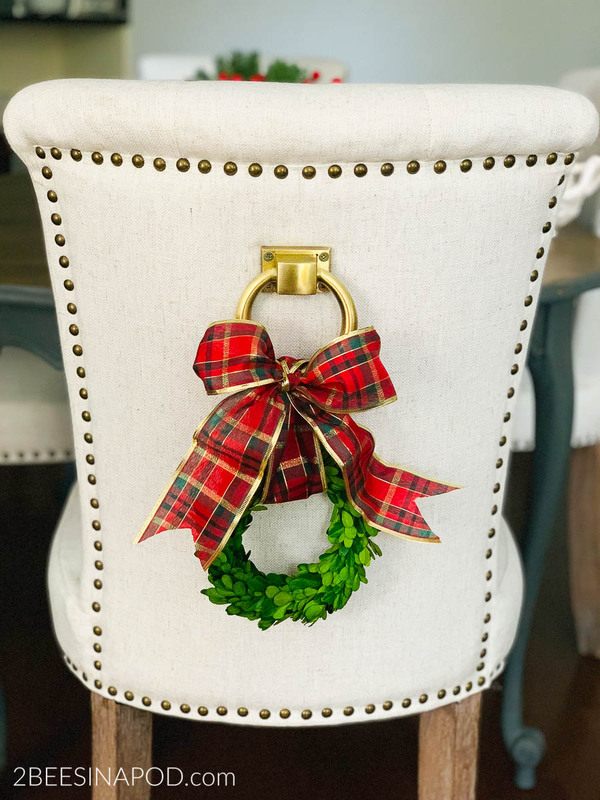 Decorating chair backs for Christmas does make them look “fancy” but not stuffy. Honestly this is the only thing you would have to decorate in your dining room to make an impact for the holidays. Love this look! Where did you get those chairs?